This is so exciting. 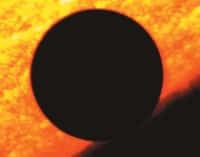 For the only time in our lifetime there is a transit of the sun by Venus early on the morning of June 6th. If the clear skies that we have had recently continue it may be possible to see the transit from Waternish (if you are up early enough). The next time it will happen will be in 2117. Please though be careful and do not look directly at the sun!